Stamps, Labels, Envelopes & More. 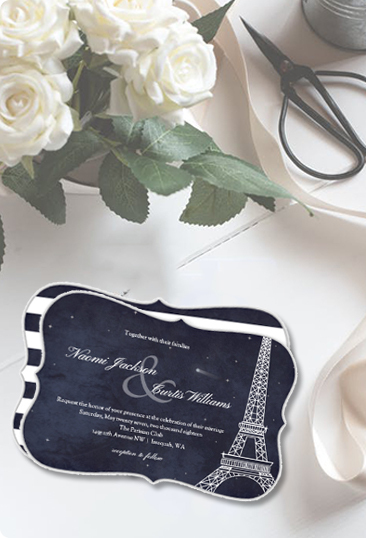 Discover the best kept secret in personalized cards & invitations. PurpleTrail offers easy customization with an online design center that lets you express your creativity exactly the way you want. Start with one of more than 1,000 designs from our curated collection or create your very own – it’s all up to you. 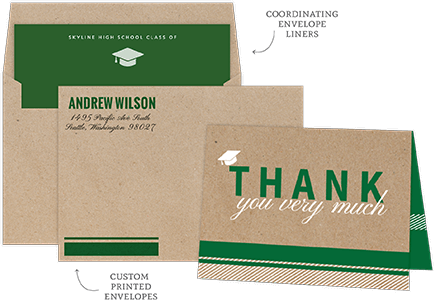 Easily create matching envelopes, liners and address labels to make your cards and invitations a standout. Choose from 12 envelope colors and create the coordinating touches in our unique online design center. NEW! Colored Envelopes: 12 beautiful colors to choose from. 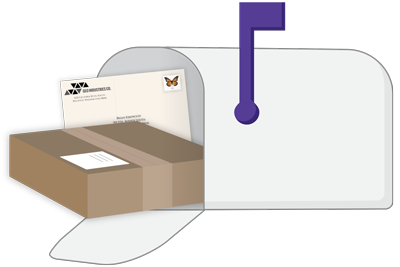 Let us address, stuff, seal, stamp and mail your cards or invitations. You’ll love the extra time you save for things that are much more fun. Easily create matching envelopes, liners and address labels Choose from a handpicked a selection of premium papers for your cards and invitations. You will find just the right card stock for your celebration. 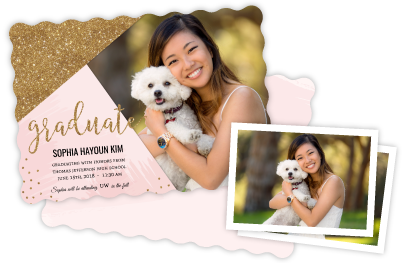 PurpleTrail offers cards and invitations at flat-rate pricing starting at just $.79 each while using the same luxe papers and printing as our competitors. Plus, your stationery is handmade from start to finish in our studio just for you. We love our customers – and they’re pretty excited about us, too. But don’t take our word for it, listen in on what our customers are saying. 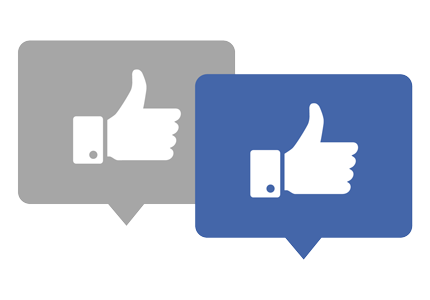 Unlike our competitors, we aren’t afraid to share our reviews on social media. Check them out! Preserve the well wishes from your friends and loved ones with a customized guest book for your upcoming event. 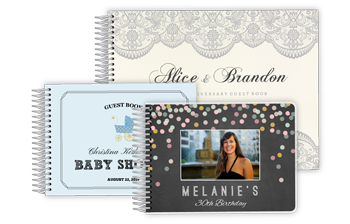 Whether you're having a formal event or small party, our wide selection of custom guest books are an excellent addition to any special occasion. 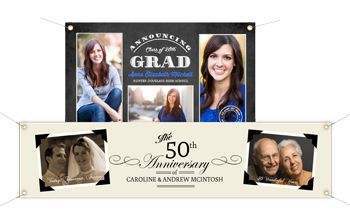 Get your upcoming event started with a personalized banner. Choose from many size options and customize with your own photos, text and more. Our banners can be used either indoors or out, and are easy to hang with included grommets. 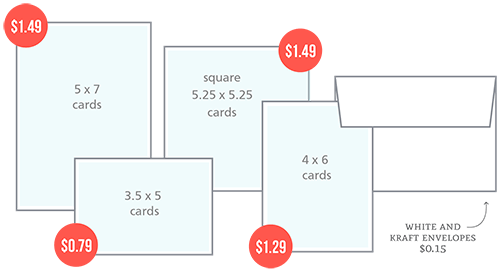 Make saying thank you easy with custom printed thank you cards. 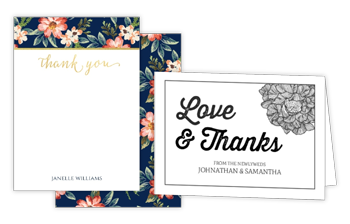 Our fully personalized thank you cards come in a variety of charming styles and are printed on our premium paper stocks. Add a photo or special message to make your thank you extra special. Copyright © 2019 PurpleTrail.com. All rights reserved. To proceed, please login to your PurpleTrail account or Sign Up to create a new account. Use your PurpleTrail email and password to login. To get started, please create an account or login to your existing PurpleTrail account.